Nowadays, cooking methods and processes have stepped up their game, all thanks to technology. One item to prove this is the best small microwaves. With the help of a microwave oven, you can do a lot of cooking processes, not just baking or heating. Due to the convenience it offers, microwave ovens have had a good supply in the market. Given the numerous options you have and the feature each option emphasizes, picking the best one for you can be robust. Aimed at helping you decide what to buy, the list below details the different features, pros and cons of the best small microwave finds in the market. 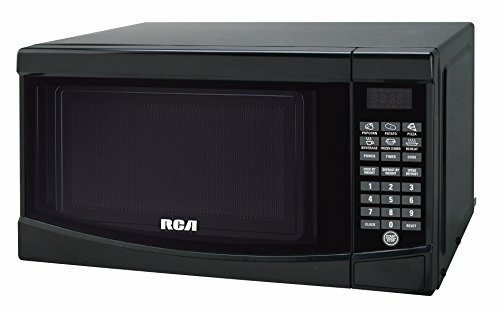 The RCA RMW733-BLACK Microwave Oven comes in different sizes and colors, black being one of those. This small and classy-looking microwave oven measures 0.7 cu. Ft. However, your size options are not limited to that. There are also other smaller and bigger sizes for you to find, depending on your needs for preference. As for its dimensions, it comes in a very petite size of 17.8 x 10.3 x 12.7 inches all in all and weighs lightly at 25 lbs. Despite these differences, the quality remains along with the features you’ll find useful. Among these features, include automatic defrost and express cook. Along with that, this microwave oven also has a maximum microwave power of 700 W.
It has a LED display, a clock, timer and an electronic touchpad. On top of that, it also features a 10-level power quality which you can change depending on your needs. 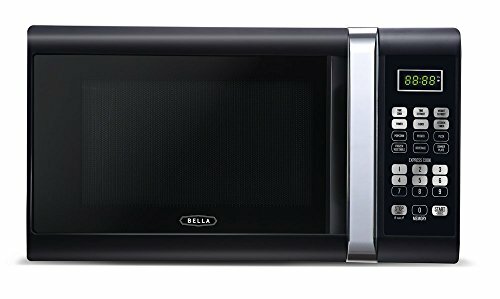 Microwave ovens offer cooking processes, not just the options provided by Bella 700-Watt Compact Microwave Oven. This is made possible by the one-touch cooking program, which allows you to set the oven according to cooking demands. These programs include settings for a dinner plate, popcorn, pizza, frozen vegetable, potato, and beverages. Each of these food program settings has an assigned length in minutes (1-6 minutes, depending on the food). This small oven also comes with adjustable multi-stage cooking. This feature allows you to control the stove while cooking or heating. You can also adjust the timer by 30 seconds more on top of these food program settings; you will also benefit from the removable glass turntable. Also, it comes with a LED display to help you in setting and monitoring the food you put in the oven. It also comes with an additional keypad lock feature to ensure optimal supervision of the food and the stove itself. Like most of the other stoves, it runs with 1000W output. The Danby DMW7700BLDB offers convenience along with a variety of options to utilize and ensure quality cooking. 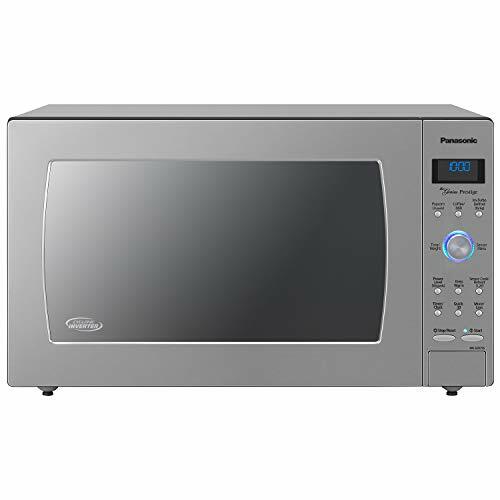 This small microwave oven features three specialty programs which are cook by weight, defrost by weight, and speed defrost. With the help of these features, you can heat different foods coming from small to moderate amount of servings. Also, you get to defrost frozen goods in a quite speedy amount of time. The maximum power you can utilize through this microwave oven in 700W and can be controlled through 10 different levels. You can also manage your cooking processes through the one-touch cooking for six favorite uses. With this feature, you can heat food and beverages with just one press and not worry about the food’s heating. It also comes with LED display and timer for your convenience. It also comes with an automatic lightweight turntable. One-touch cooking allows minimum supervision of the owner. The three unique features make cooking convenient. Efficiency and Ease come in one package, all through the LG LCRT2010ST 2.0 Cu Ft Counter Top Microwave Oven. This oven not only promises to provide quality and easy cooking but also safety in the process itself and after it. This oven features sensor cooking which allows the user to cook food in the oven with minimum interference. It senses the humidity level of the food and automatically adjusts its timer, coming in with seven options. With this feature, the oven determines by itself how hot the temperature should be and for how long. Also, you can customize the length of time through the add time feature. This feature allows you to let the food stay for an additional 30 seconds to one minute. It comes in a 2.0- cubic feet size which is large enough for meals for many. It also comes with a turntable sizing 16 inches, which also allows you to put large bowls, plates, or containers. Minimal supervision of the food you cook, since you have the sensor cooking feature. Detection and determination of humidity level might not always be accurate, and thus might cause the food to get overcooked. Different options could be hard to manipulate for first-time users. This very inclusive and innovative microwave oven from Panasonic welcomes quality and convenience through the Panasonic NE-1054F Stainless. Running through a 1000W output of power, this microwave already provides 20 programmable menus in Braille with the ten memory pads. In addition to that, this 0.8-cubic feet oven has 2 and 3 stage cooking at six different power levels. To make life even more comfortable, it has a Grab and Go handles feature that makes it easy to use and durable. The see through the oven door, and interior oven lamp also enables you to monitor the food as it is cooked, hated or defrosted. Not only is its internal its selling factor, but also its exterior. Coming in through a form of easy-to-clean stainless steel, the Panasonic NE-1054F Stainless presents itself as classy and elegant. As for its size, you can fit half-size pans inside this oven and let it go through the different processes offered. The classy-looking exterior makes it an excellent additional piece to your kitchen space. Amount of food it can accommodate is too small. The Panasonic NN-SD372S Countertop Microwave makes an innovative benchmark through its Inverter technology feature. With the aid of this feature, you can ensure even cooking with delicious taste. Also, through another highlight—the Inverter Turbo frost—you can enjoy having your food quickly defrosted. Also, running at 950W, you can enjoy faster cooking time span without much worry about electricity consumption. Its automatic sensor adjusts power by itself according to the different energy and heating time needed for the food. By the help of the Keep Warm setting, you can have your food heated until such time when it is ready to serve. Panasonic NN-SD372S Countertop Microwave’s interior includes a turntable that’s nearly a foot in size. Users can also enjoy the other features of this oven such as the Delay and Start Timer and the various controls namely Quick Minute, Popcorn Key, and the Pop-Out Programmable Dial. These controls allow the user to set the cooking or heating time of the food without worrying about the product that will come out of it. Has many features to choose from, allowing you to cook or heat food according to what is needed. Too many features can be difficult to memorize and manipulate for the new user. This latest innovative oven from Panasonic takes pride in its New Cyclonic Wave. The new cyclonic wave provides ultra-efficient cooking in various temperature levels. 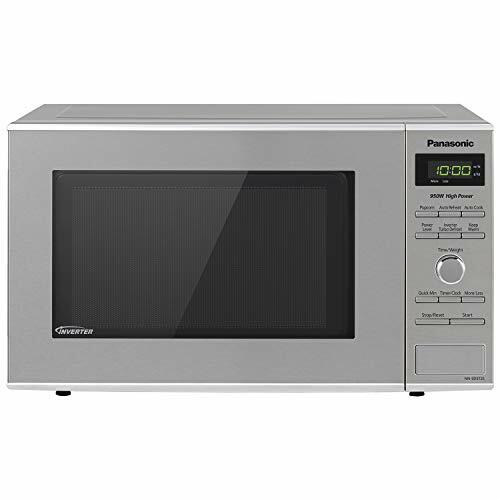 Aside from this wave, the Panasonic NN-SD975S Countertop/Built-In Cyclonic Wave Microwave also makes use of the Inverter Technology for a constant supply of heat for cooking while maintaining the nutrients and flavor the food naturally has. Aside from this preservation, you can also guarantee that your food won’t have cold spots and unpleasant textures that affect its quality. This compact oven can also automatically adjust its heat to make sure that the food is evenly cooked at a quick span of time. With its interior space, you can heat, cook or defrost big meal servings and still get an evenly-cooked product. Another feature ensuring your food’s evenly-cooked outcome is the turntable measuring 16.5 inches. Controlling and monitoring cooking time by this oven is also easy, thanks to the LED display and the touchscreen controls. After a long time of using it, the door is vulnerable to malfunctioning. 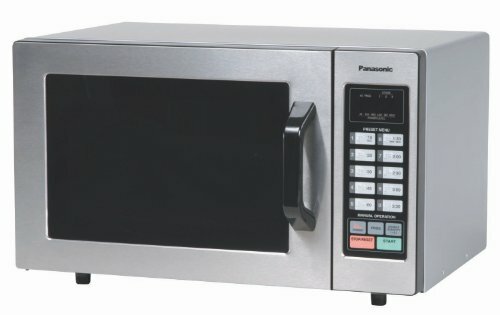 The Panasonic NN-SN661S Stainless Microwave Oven runs in 1200W, offering a variety of options in cooking. First is the Inverter technology which allows the oven to cook the food evenly without harming the flavor and nutrients of the food. Another technology that this oven utilizes is the Advanced Inverter Turbo Defrost. It hastens the process of defrosting a frozen good in the oven. As for its controls, you can read the cooking instructions display in three different languages—English, French, and Spanish. You also have the power to control the cooking power and length through the One-Touch Genius Sensor Cook, Reheat and Keep Warm feature. Panasonic NN-SN661S Stainless Microwave Oven’s exterior also offers a pleasing sight and a convenient size for anyone wanting to allow just a small space for an oven in their kitchen. You can also opt to choose a countertop or built-in installation for a better heating experience. Some features of the microwave oven malfunctions after using it for a long time. 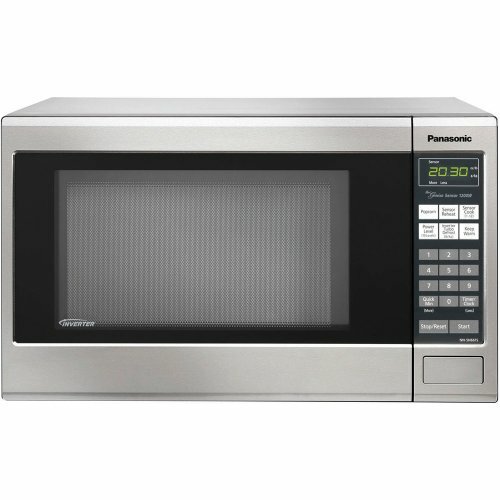 Another masterpiece coming from Panasonic is the Panasonic NN-SN651B Countertop Microwave Oven. Like most of the ovens given earlier, this one provides efficient and accurate cooking results through the Inverter Technology. Running at 1200W, this microwave oven also operates using the one-touch genius sensor cook and reheat. Another option offered by this oven is the Keep Warm feature, just like some of the earlier-given products. As for its control, it has a flat keypad panel and a LED display for easier manipulation and visible switches. It also makes use of the 10-power levels in cooking and heating. You will also not have to worry about opening and closing the oven door as this has a push-button door release. This feature also ensures that the food is sealed inside when needed and easy to retrieve when the process is over. Meanwhile, its dimensions are big enough to accommodate meals in large servings. Push-door feature wears off after a long time of use. Cooking and heating are taken to a whole new level, all with the help of the Panasonic NN-SN651W White. Coming with the rampant Inverter technology, your food can be cooked and heated with gentle heat and length of exposure to this heat. What’s right about it is that it is done automatically through its five menu buttons for easy programming. 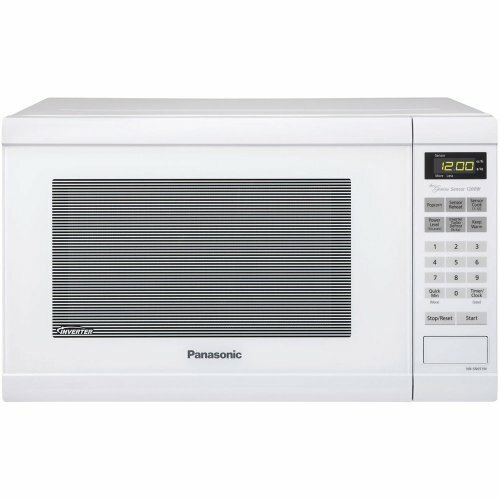 The Panasonic NN-SN651W White also comes with 12 pre-set auto-cook menu items. This allows you to cook, heat, and defrost goods according to without worrying much about the time and temperature. Aside from these given controls, this oven also has ten power levels for the user to choose from. It also comes with a push-button door feature to tightly lock the oven door for optimum results. The turntable included in the package also makes sure that the food gets evenly cooked, maximizing its quality. Numerous options for each type of food. A microwave is a must-have tool in every kitchen. Therefore, you should take your time buying the right model for your household. 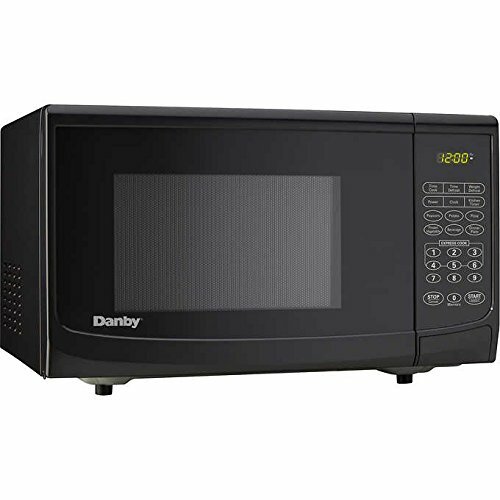 Below is an expert buying guide with a list of the best small microwaves in the market that you should take a look of if you’re in the hunt for the right microwave. Microwave ovens are designed to offer convenience in the lives of a busy household. If you want to warm your food or thaw any froze goods, an excellent small microwave oven will be your best friend. Not to mention that your meal is ready to consume in less than five minutes. Speedy cooking. Its primary advantage is that you can cook your food without wasting much time and energy. The convection cooking offered by a small microwave is ideal for a busy professional who does not have enough time to cook manually for himself. It also cuts your electricity bills in half, having to eliminate the use of gas stoves and other electrical kitchen equipment to prepare your own food. Enhances the flavor. Another benefit that you should consider is the enhanced flavor of your food. A microwave oven can better the taste of your food with its balanced heat and moisture. Even if you know little about cooking, rest assured that you’ll be able to prepare a decent meal with the help of a microwave oven. Supposed you are in a tight budget, do not worry because you can still enjoy the luxury of owning a microwave oven. 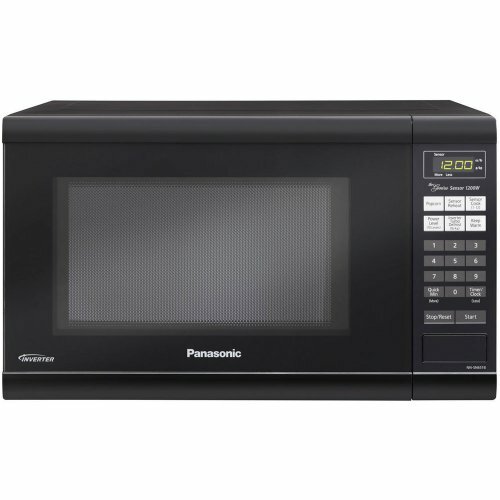 Microwave ovens are sold at a reasonable price. And with that, you get to enjoy a lessened electricity bill in the long run. Above-range microwave oven – these types of ovens are designed and built for above the kitchen range installation. Some units have an integrated exhaust fan that can vent out the steam and also, filter the smoke emitted from your stove’s top burners. Counter-top microwave oven – this is also one of the most popular types of a microwave oven. It is the smallest one, most appropriate for homeowners with limited space in the kitchen. It’s a great little oven that can thaw frozen foods, heat the leftover Chinese from last night, or make popcorn for Sunday movie nights. Microwave oven drawers – this might be new in the market, but most consumers also love it because of the convenience that it can over. If by any chance, you don’t have any space available on the countertop, this would make a good choice because it is installed as a drawer, saving you plenty of space in the long run. Take a look around your kitchen first and vision where you’d like to place your microwave oven before you start browsing the internet for good buys. For instance, if you are living in a rented apartment and has limited space, a small microwave oven is a good choice. But if you’re living in a rather large house with your family, a top-rated large sized model would be appropriate to suit your household needs. Let’s proceed to take a look at the oven’s features. Some models have an automate power level that will automatically adjust the settings depending on the food that you are cooking. Other models feature a cooking time that you can adapt to your will, and some have over 100 pre-programmed menu items, suitable for those who are using microwave ovens for the first time and has little knowledge when it comes to cooking. 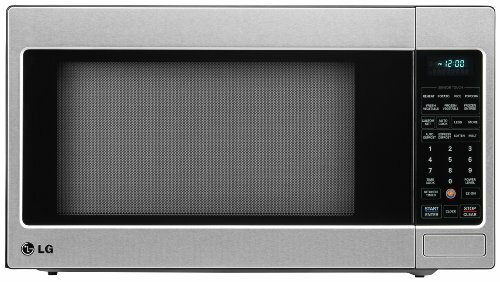 High-end models of the microwave may also feature a quick defrost settings that allow you to thaw any frozen foods in less than five minutes and be ready to consume. Same goes for models with a start-time option that keep the warmth of your food even after it’s fully cooked.